There are many Potato recipes on this website. They are easy to cook too. 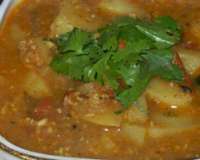 Potatoes can be used in many dishes many dishes. Potato snacks, potato breads, potato curries, potato subjis and so many others. You may read about Potato nutrition information. 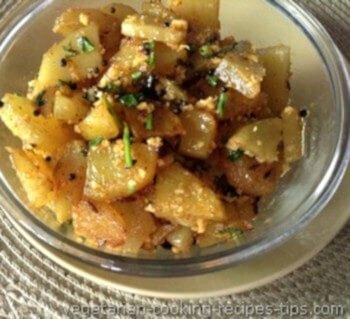 Indian names for Potato are alu/aloo(hindi), batata(Marathi, Gujarati), alugedde(Kannada), Urulai Kizhangu(Tamil) etc. Potatoes are favorites of most housewives as potatoes are easy to store and have a long shelf life. 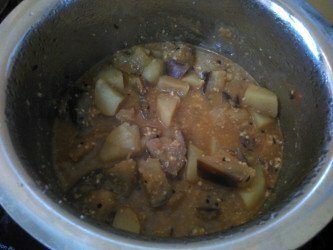 So potatoes are always available in the house when one is wondering what to make. I love potatoes. 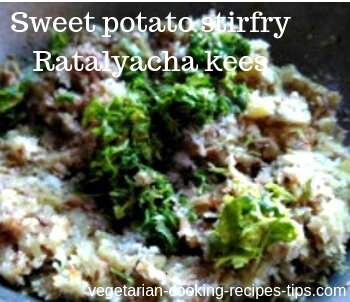 Potatoes are very versatile food. They are one of the very tasty comfort food. They get along well with most of the other vegetables. So can be added to many dishes. I always have potatoes in the house as I can make something interesting with them when I want. Teenagers loves potatoes. Potatoes are unnecessarily blamed for making people fat or overweight. It all depends on how you eat your potatoes. 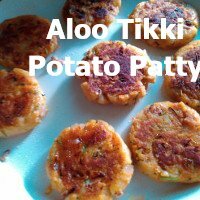 They are good for you when you eat them boiled as in aloo subji, aloo paratha, potato curry or in any recipe where you use boiled potato. 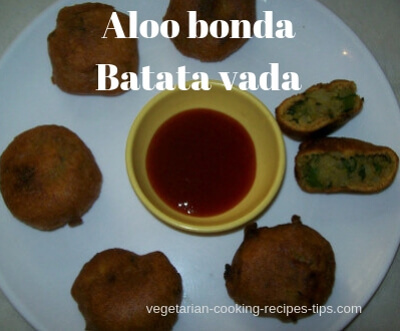 If you are using potatoes with a lot of oil or are deep frying it, such as in French fries, or Aloo bonda - Batata vada, aloo bhajji , you are going to have to deal with the added fat. So is the potato responsible for your weight gain? The potato does taste good when it is fried. So eat that only once in a while. You may also read about how to store potatoes. 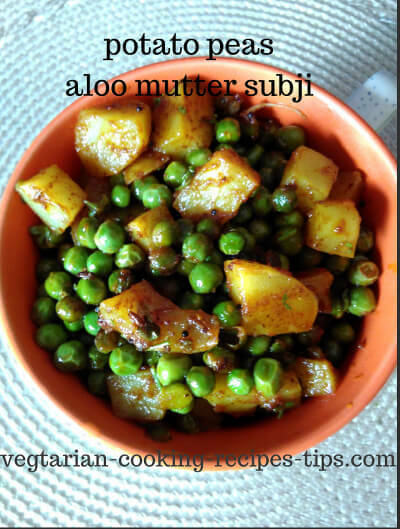 A North Indian way of making a dry aloo mutter subji - Potato and fresh green peas side dish.